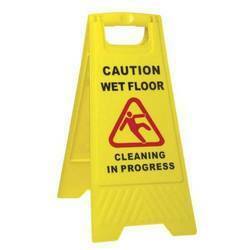 We bring forth Caution Boards and Sign that are in huge demand in amongst our clients. These are apt cleaning equipment that can be used with ease and efficiency. Furthermore, these are appreciated for reducing danger from slipping on wet floors while cleaning a particular area. Customers can benefit economically by acquiring these products. 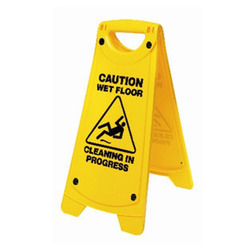 We are offering Extra Large Flaps Caution Boards and Sign to our clients. We are offering Caution Board to our clients. 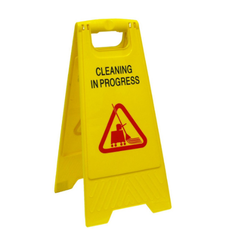 We are offering Cone Caution Boards and Sign to our clients. 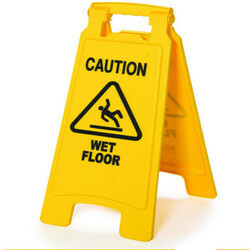 We are offering Flaps Caution Boards and Sign to our clients. Looking for Caution Boards and Sign ?